Taking its name from the old Hebrew word ‘malach’ meaning ‘messenger’, this beautiful crystal suggests you could receive an unexpected message from an ex-friend, partner or estranged family member this week. Heartfelt apologies from people you once knew - and loved - could leave you feeling very tearful, and there could be a very emotional outburst from someone around you too. Keep your spirits high by keeping a Malachite nearby. Adored for centuries, this captivating crystal is often associated with the heartbreaking story of a beautiful young maiden who was brutally attacked by an evil god! Fortunately, a kind-hearted goddess heard the young maiden’s screams, and swiftly turned her into a piece of Amethyst to save her from the god! Like this kind-hearted goddess - who so selflessly helped the young maiden - this mesmerising crystal suggests someone may need your help too this week. Thought to lovingly nurture the child within, this mesmerising crystal suggests you may find yourself feeling slightly broody this week! Time spent with new mums - and conversations with friends and loved ones - may leave you feeling slightly emotional, and there could be some really exciting news about a friend, colleague or loved one too. Nurture your heart and mind by holding a Pink Chalcedony by your heart, or keeping one under your pillow. Symbolising love, forgiveness and letting go, this enchanting crystal suggests you may need to distance yourself from a very negative person around you this week. Constant whining from friends, colleagues and family members may leave you feeling very frustrated, and there could be a personality clash between two people around you too. Surround yourself with positive energy by holding a Snowflake Obsidian by your heart, or keeping one in your home or work place. Captivating the hearts of everyone - from artists and writers, to healers and jewellers - this mesmerising crystal suggests you could hear some shocking gossip about an old friend or ex-partner this week. Unexpected engagements, pregnancies and new relationships can all be expected, and someone could try to take advantage of your giving nature too. Prevent any bad vibes or negativity from affecting your positivity by keeping a Fluorite nearby. This spellbinding crystal is often associated with the Greek Goddess of Love, Venus - who is thought to have been utterly delighted when she was named the ‘most beautiful’ in a contest between herself and the other goddesses. 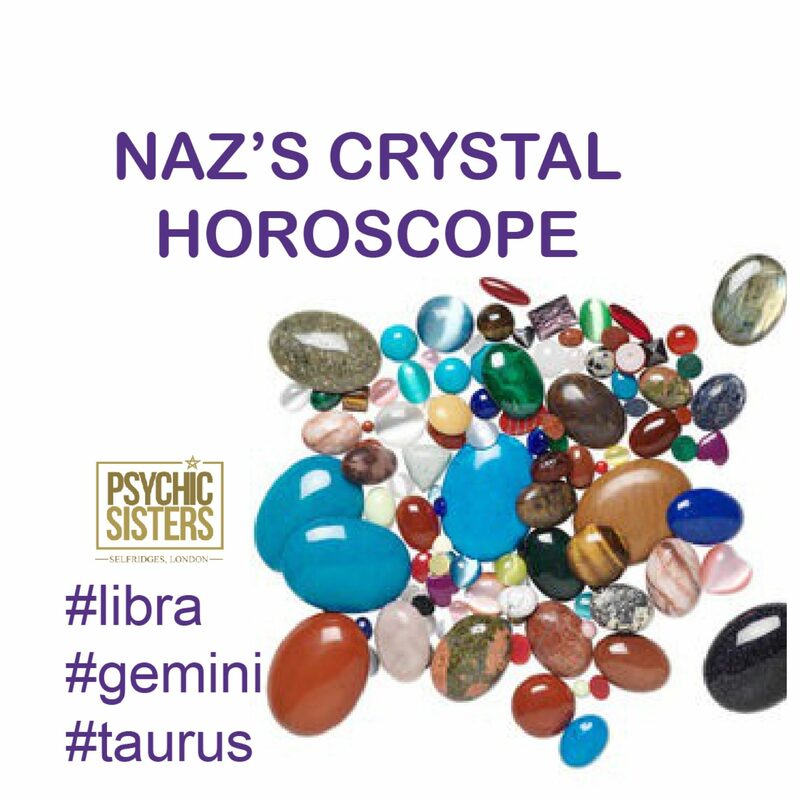 Like this highly competitive goddess - who is thought to have bribed the judges to win the title - this bewitching crystal suggests you may find yourself feeling very unsettled by a friend or family member’s competitive behaviour too this week. Known as a stone of love, healing and beauty, this captivating crystal suggests you may find yourself feeling very ‘motherly’ towards someone around you this week. Heartbreaking messages from friends, colleagues and family members may leave you feeling very unsettled, and you may find yourself feeling very suffocated by someone around you too. Keep your spirits high by keeping a Rose Quartz nearby, or holding one by your heart. Bewitching the world with its magical properties for centuries, this stunning crystal is thought to help with everything - from boosting your confidence and protecting your energy, to lifting your spirits and shielding you from envy. Synonymous with confidence, courage and self-belief, it suggests you may find yourself feeling slightly insecure about your appearance or abilities this week. Boost your confidence by holding a Carnelian by your heart. Prized for centuries, this bewitching crystal has captured the hearts of some of the world’s greatest icons, and is synonymous with love, passion and honesty. Thought to lovingly nurture the bond between lovers and friends, it suggests the connection between you and a friend or love interest could become much stronger this week. Nourish the bond between you by placing a Ruby by a photo of you together, or sending them one as a gift. Symbolising love, healing and forgiveness, this mesmerising crystal suggests you may find yourself feeling very guilty about a past mistake this week. Painful memories from the past - and dreams about people you once knew (and loved) - may leave you feeling slightly tearful, and you may need to swallow your pride, and apologise to a friend or loved one for your behaviour in the past too. Heal the bond between you by placing a Rhodonite by a photo of you together. Known as a stone of strength, courage and inner belief, this stunning crystal has enchanted people’s hearts for centuries, and was once thought to contain the sacred blood of fallen soldiers! Thought to gently wash away our worries and fears, it suggests you may find yourself feeling very anxious about a new job or relationship this week. Calm your beautiful heart and mind by keeping a Hematite in your home, or simply holding one by your heart. This beautiful crystal has enchanted the world with its spellbinding beauty since the early 19th century, and is thought to have been discovered when a group of hardworking miners mistook the gem for an emerald! Mesmerised by its enchanting colour – which turns from green to red, and back again – they were instantly bewitched by its beauty. Symbolising love, truth and beauty, it suggests you could see a softer side to someone around you this week.